This episode of Flying Podcast features an interview with Claire Hatton, a Commercial and Instrument Rating Instructor with Ravenair, based mainly at Liverpool, John Lennon Airport. We discuss what’s involved in more advanced ratings and licenses such as the IMC, Multi engine, IR and CPL. So if you have any interest in improving your flying or want to get into commercial aviation, have a listen to what Claire has to say. Claire starts off the interview with a little detail about how she got into flying and flying instruction. She started her career working weekends at Manchester Flying School at Manchester Airport, getting her PPL at 17. She then worked as an air stewardess with Monarch to pay for he CPL training. She then ended up working for Ravenair at Liverpool, John Lennon Airport. She finds that being a flying instructor fits in well with her need to look after her young child. 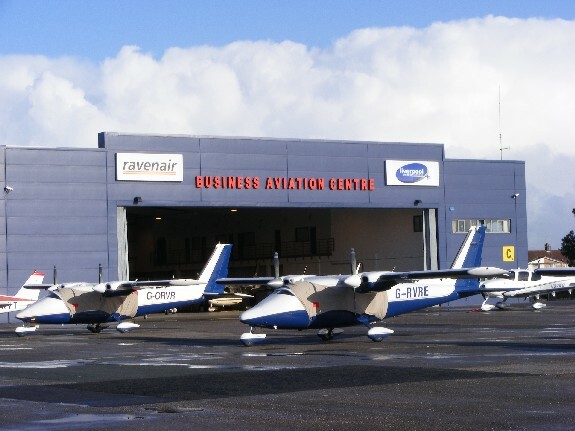 Ravenair are based mainly at Liverpool but also operate from Barton, Manchester and the Isle of Man.Â Their fleet consists of Piper PA38 Tomahawks, Cherokees, Piper PA34 Senecas, Piper PA27 Aztecs and Partenavia PN68s. The advantages of using Liverpool airport include the facts that the airport is still very general aviation friendly, they have plenty of commercial traffic and obviously a full ATC and ILS systems but the airport is not so busy that it causes many delays to your training. Claire runs us through a typical list of ratings that you might undertake on your way to a full commercial license – the frozen ATPL – although many of the ratings can of course be used as a way of improving your general flying skills. Although Ravenair do offer the night rating qualification, Claire herself doesn’t instruct for this rating and so we moved straight on to the IMC. The IMC (Instrument Meteorological Conditions) rating, which is a UK only rating, is essentially a ‘get out of gaol’ card allowing the pilot to take off or land in weather conditions that would not be suitable for the VFR pilot. Claire explains that it is a great way of improving the safety of your flying as well improving your flying skills. Although not necessary in your progression to the ATPL it does give you a great introduction to instrument flying and covers general manoeuvring with sole reference to the instruments and then navigation and landings using radio navigation aids. MEPL – The multi-engine piston license. Also known as the twin rating. Claire describes what is required before you start the rating and then what the course consists of. The main differences that the students find, according to Claire, are the power differences and complexities of the twin engined aircraft and then the problems caused by the loss of one engine, so called asymmetric flight. A pilot needs a CPL before he or she can fly and be paid for it. With one or two exceptions you must have a CPL in order to get a paid job as a crop duster, parachute aircraft pilot, flying instructor etc. Claire gives us an insight into how the CPL flight training compares with the PPL. Although the actual content of the course is similar to the PPL, the flying for the CPL license must be more accurate and should be carried out in a more commercial fashion. The course content consists of the ground exams, which must be completed prior to the flying element of the course, and then the actual flying training. This can be on a single engined or multi engined aircraft. Claire explains how the student can possibly save a little by including the twin rating within the CPL course. 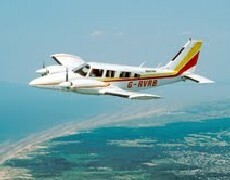 Obviously required to be able to fly under IFR in the airways and so essential for becoming a pilot with the airlines. As Claire explains, it’s often regarded as the most demanding flight test you’ll ever take. The difficulty arises from the amount of work that’s involved in conducting a flight on instruments. The key thing, Claire says, is to stay a couple of steps ahead of the aircraft as the stress levels involved in instrument flying can be quite high; there are so many things to think about. After gaining the instrument rating, the prospective pilot has all of the flying qualifications he or she will require in order to get a job flying commercially. Although Ravenair don’t offer the MCCC (Multi Crew Co-operation Course) certificate it is a requirement for aircraft that have more than one crew member and so is essential for most airline work. Lastly, Ravenair offer Flying Instructor courses but we’ll leave that for another podcast. For full details of Flight Crew Licensing, visit the Lasors page on the CAA web site. Claire has written a book called `You Have Control’ which is all about what it’s like to be a flying instructor. This entry was posted in All Podcast Episodes, Commercial Aviation, Flight Training, Flying Professionals, GA Flying and tagged Advanced, Aviation, Barton, City Airport, CPL, Flight Training, General Aviation, IMC, Instrument Rating, IR, Light Aviation, Podcast, podcasts, PPL by admin. Bookmark the permalink. A podcast about ATPL ground school would be good. Great podcast btw. Getting your Instrument Rating is sure to be “the” test that would require everything you learned from the basics to the more complex part of becoming a pilot. It definitely goes without saying that earning the passing rate for this is a dream come true.